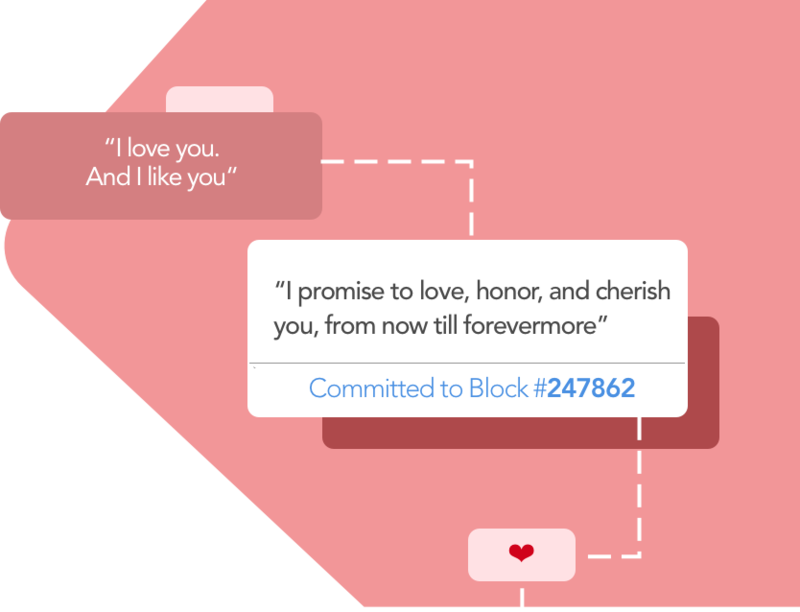 Forevermore is a decentralized app that allows you to write your vows to a marriage ‘smart contract’ on the blockchain. Once written, the vows are replicated to every node on the Ethereum network, and are immutably committed to the blockchain. No one can edit or delete them. The marriage 'smart contract’ is like your wedding certificate. It’s forever, and unchangeable, its immutability secured by a global network of nodes. It's also publicly viewable by friends and family, and verifiable by anyone. There’s also a neat trick that allows friends and family to send ether into your marriage contract by ringing the wedding bell. You’ll be able to later withdraw the ether to the wallet you used to create the contract. Forevermore is free to use. The creators do not profit from this project. However, you have to pay a transaction fee to store data to the Ethereum network, paid in gas. You’ll need to make sure you have enough in your Metamask wallet! Who owns the marriage contract? Your marriage contract is 100% owned by you. It was created through your ethereum account through Metamask, and cannot be taken away or destroyed. How much do you guys make from this? Nothing. We didn’t even launch an ICO. You’re welcome to ring our wedding bell, though! How do I install Metamask to use Forevermore? Please look at the Cryptokitties FAQ because we’re too lazy to write our own. Is this Marriage Contract legally binding? We don’t know, you should ask your partner.